Welcome back to the 3DB and thanks for letting me share time with you this week. During the course of this year/last year I have not had a specific script to follow with the blogs. I have talked about airplanes, aviation history in the US, and abroad, as well as the aviation pioneers from Europe, South America, and elsewhere. 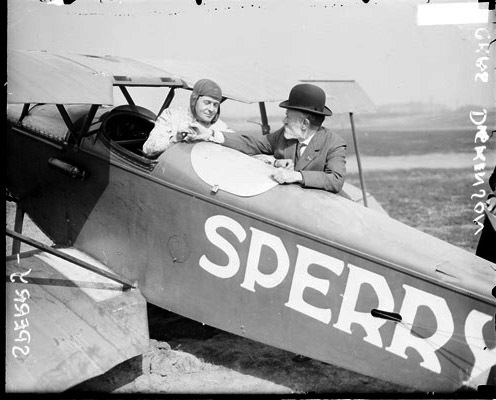 This week I want to open a new window into the past and talk about a man whose skills as an aviator, and with a pen, are similar to those of Ernest Gann. 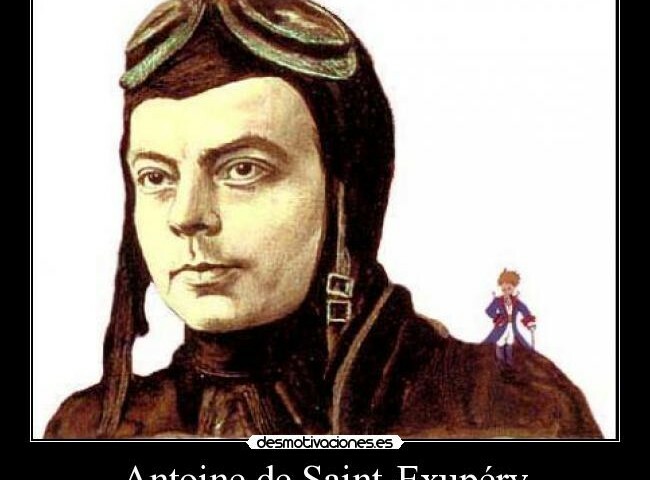 Antoine de Saint-Exupéry is the man I speak of and it is his life that we will talk about today. A few years ago I wrote a blog titled, “Jean Mermoz – France’s Lindbergh” , where I talked about the beginnings of the airline “Aéropostale.” While my focus was primarily on the accomplishments of Jean Mermoz I did mention Saint-Exupery and the fact that he and Mermoz were the best of friends; however, this week it is all about Antoine de Saint-Exupéry. The article that I am using for this was copied from the web and while I am not sure of its origins based on the facts, as I know them, it appears to be accurate. I have revised some of the wording to make it easier to read but the link below the article is available should you desire to consult the source. I will have a few closing comments and two videos for you to see – but for now let’s get on with the story. French aviator, writer, and real life hero who looked at adventure, and danger, with a poet’s eyes and sometimes from the viewpoint of a child. Saint-Exupéry’s most famous work is The Little Prince (1943), which he also illustrated, has become one of the classics of children’s literature of the 20th century. 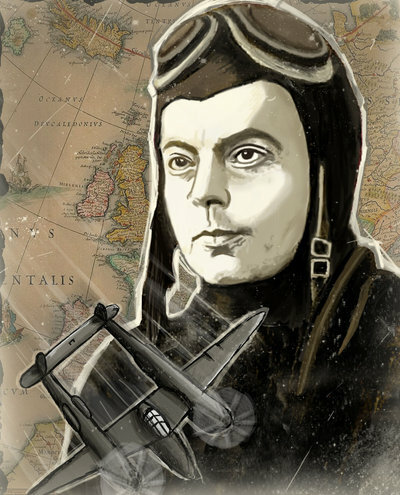 Antoine de Saint-Exupéry was born in Lyons, France into an old family of provincial nobility. His father was an insurance company executive, who died of a stroke in 1904, and his artistic talented widow, Marie de (Fonscolombe) Exupéry (1875-1972), then moved with her children to Le Mans in 1909. Saint-Exupéry spent his childhood years at the castle of Saint-Maurice-de-Rémens, surrounded by sisters, aunts, cousins, nurses, and fräuleins. He was educated at a Jesuit school in Montgré and Le Mans, and in Switzerland at a Catholic boarding school (1915-1917), run by the Marianist Fathers in Fribourg. After failing his final examination at a university preparatory school, he entered the École des Beaux-Arts to study architecture. The turning point in Saint-Exupéry’s life came in 1921 when he started his military service in the 2ND Regiment of Chasseurs, and was sent to Strasbourg for training as a pilot. He had flown, with a pilot, for the first time in 1912. On July 9, 1921, he made his first flight alone in a Sopwith (F-CTEE). 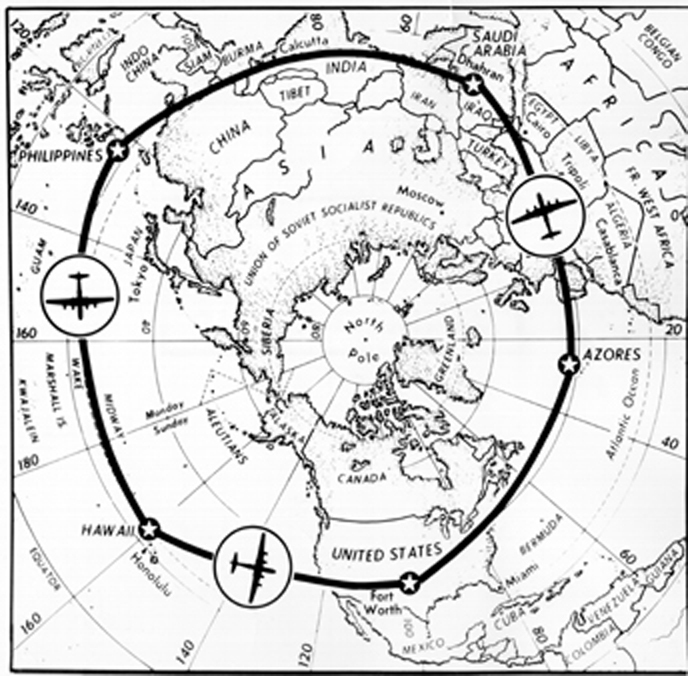 During the next year Saint-Exupéry obtained his pilot’s license, and was offered a transfer to the air force. However, when his fiancée’s family objected, he settled in Paris where he took an office job and started to write. The following years were unlucky. His engagement with Louise de Vilmorin broke off, and he had no success in his work and business. He had several jobs, including that of bookkeeper and automobile salesman, and Saint-Exupéry’s first story, ‘L’Aviateur’, was published in 1926 in the literary magazine Le Navire d’argent. Saint-Exupéry’s true calling was then found in flying the mail for the commercial airline company Aéropostale. He flew the mail over North Africa for three years, escaping death several times, and in 1928 he became the director of the remote Camp Juby airfield in Rio de Oro, Sahara. His house was a wooden shack and he slept on a thin straw mattress. “I have never loved my house more than when I lived in the desert,” he recalled. In this isolation Saint-Exupéry learned to love the desert, and used its harsh beauty as the background for his books The Little Prince and The Wisdom of the Sands (1948). During these years Saint-Exupéry wrote his first novel, Southern Mail (1929), which celebrated the courage of the early pilots flying at the limits of safety to speed on the mail and win a commercial advantage over rail and steamship rivals. 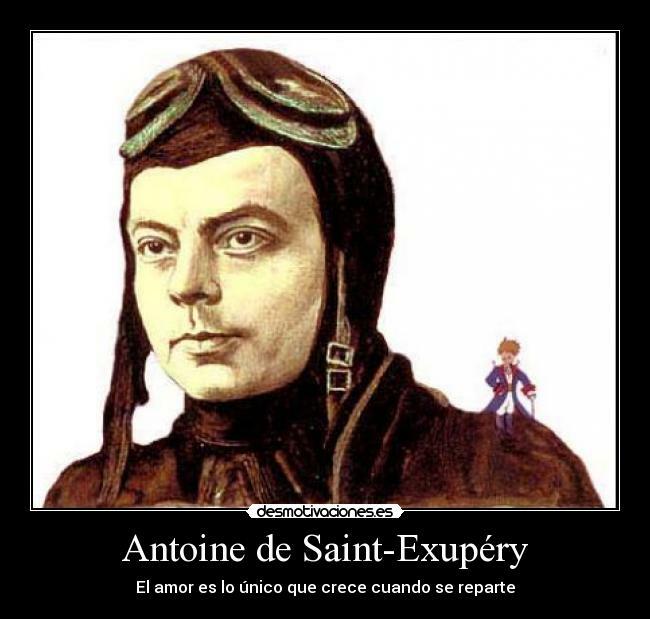 In 1929 Saint-Exupéry moved to South America, where he was appointed director of the Aéropostale Argentina Company. Saint-Exupéry flew post through the Andes and it was this experience that formed the basis for his second novel, “Night Flight,” which became an international bestseller, won the Prix Femina, and was adapted for screen in 1933, starring Clark Gable and Lionel Barrymore. In the story Rivière, the hard-bitten airport chief, has left behind all thoughts of retirement and sees the work of flying the mail as his fate. Saint-Exupéry was married in 1931 to Consuelo Gómez Carillo, a widow, whose other literary friends included Maurice Maeterlinck and Gabriele D’Annunzio. “He wasn’t like other people,” she wrote later, in Mémoires de la rose, “but like a child or an angel who has fallen down from the sky.” The marriage was stormy. After the air mail business in Argentina was closed down, Saint-Exupéry started to fly mail between Casablanca and Port-Étienne and then he served as a test pilot for Air France and other airline companies. He wrote for Paris-Soir, covered the May Day events in Moscow in 1936, and wrote a series of articles on the Spanish Civil War. Saint-Exupéry lived a traveling, adventurous life: he persuaded Air-France to let him fly a Caudron Simoun (F-ANRY), and had an accident in 1935 in North Africa. He walked in the desert for days before being saved by a caravan. In 1937, he bought another Caudron Simoun, and was severely injured in Guatemala in a plane crash. Encouraged by his friend, André Gide, Saint-Exupéry wrote during his convalescence a book about the pilot’s profession. Wind, Sand and Stars, which appeared in 1939, won the French Academy’s 1939 Grand Prix du Roman and the National Book Award in the United States. The director Jean Renoir (1894-1979) wanted to shoot the film and had conversations with the author, mostly about literary subjects which he recorded. At that time Renoir worked in Hollywood where everyone shot on sets. Renoir’s idea was to make the film at the locations described in the text. The book had been successful in the U.S. but nobody wanted to produce its film version. After the fall of France in World War II Saint-Exupéry joined the army, and made several daring flights into his occupied homeland. In June he went to live with his sister in the Unoccupied Zone of France, and then he escaped to the United States. Saint-Exupéry was criticized by his countrymen for not supporting de Gaulle’s Free France forces in London. Flight to Arras (1942), published in New York, and depicts his hopeless flight over the enemy lines, when France was already beaten. The book was banned in France by the German authorities. 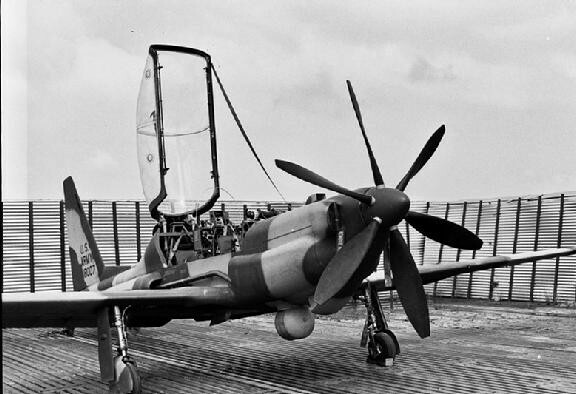 In 1943 he rejoined the French air force in North Africa. Also in Algiers he continued his lifelong habit of writing in the air but after a bad landing his commanding officer decided that he was too old to go on flying. However, after a pause he was allowed to rejoin his unit. In 1943 Saint-Exupéry published his best-known work, The Little Prince (1943), a children’s fable for adults, which has been translated into over 150 languages. It has been claimed that The Little Prince is the best-selling book after the Bible and Karl Marx’s Das Kapital. Saint-Exupéry dedicated the book to his friend Léon Werth. Its narrator is a pilot who has crash-landed in a desert and he meets a boy, who turns out to be a prince from another planet. The prince tells about his adventures on Earth and about his precious rose from his planet. He is disappointed when he discovers that roses are common on Earth. A desert fox convinces him that the prince should love his own rare rose and finding thus meaning to his life, the prince returns back home. The rare rose is usually interpreted as Consuelo his estranged wife. 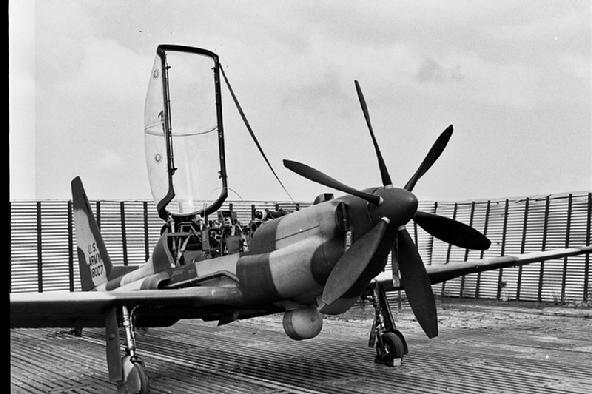 On July 31, 1944 Saint-Exupéry took off from an airstrip in Sardinia on a flight over southern France. His plane disappeared. It is believed he was shot down over the Mediterranean, but perhaps there was an accident, or it was suicide. Saint-Exupéry left behind the unfinished manuscript of La Citadelle (Wisdom of the Sands) and some notebooks, which were published posthumously. “Freedom and constraint are two aspects of the same necessity, which is to be what one is and no other.” (From La Citadelle, 1948) The book reflects Saint-Exupéry’s increasing interest in politics, and his later ideals. In 1998 a fisherman recovered Saint-Exupéry’s bracelet from the sea about 150 kilometers west from Marseilles. His and Conzuela Gomez Castillo’s name were recognized from it. However, later news revealed, that the bracelet was probably a forgery. Eventually, Saint-Exupéry Lockheed Lightning P-38 was found in May 2000. 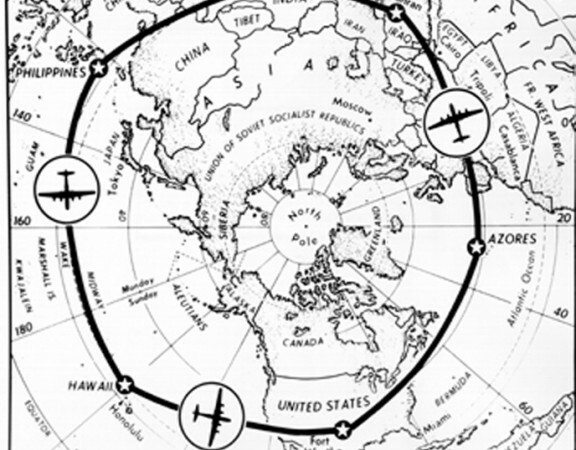 Sant-Exupery was indeed an accomplished author, like Gann and others, and I think you can see similarities between him, Lindbergh, and others. His book “The Little Prince” is available on the web for reading and most of his other backs are available at Amazon. 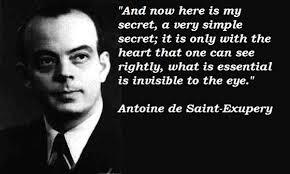 Take some time to get to know our friend Saint-Exupery because his writings will open a window to the past that has been forgotten, or ignored, by most Aviators of the 21st Century.